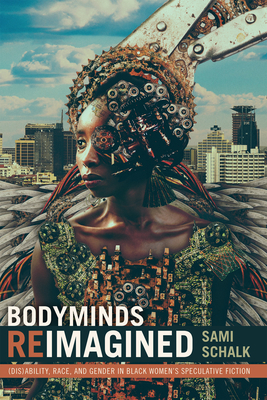 In Bodyminds Reimagined Sami Schalk traces how black women's speculative fiction complicates the understanding of bodyminds--the intertwinement of the mental and the physical--in the context of race, gender, and (dis)ability. Bridging black feminist theory with disability studies, Schalk demonstrates that this genre's political potential lies in the authors' creation of bodyminds that transcend reality's limitations. She reads (dis)ability in neo-slave narratives by Octavia Butler (Kindred) and Phyllis Alesia Perry (Stigmata) not only as representing the literal injuries suffered under slavery, but also as a metaphor for the legacy of racial violence. The fantasy worlds in works by N. K. Jemisin, Shawntelle Madison, and Nalo Hopkinson--where werewolves have obsessive-compulsive-disorder and blind demons can see magic--destabilize social categories and definitions of the human, calling into question the very nature of identity. In these texts, as well as in Butler's Parable series, able-mindedness and able-bodiedness are socially constructed and upheld through racial and gendered norms. Outlining (dis)ability's centrality to speculative fiction, Schalk shows how these works open new social possibilities while changing conceptualizations of identity and oppression through nonrealist contexts. Sami Schalk is Assistant Professor of Gender and Women's Studies at the University of Wisconsin-Madison.